If you are looking for a used Ford Focus in Windsor, Chatham and surrounding area, the AutoMAXX sales team will be able to satisfy your needs. AutoMAXX always has a great selection of pre-owned Ford Focus in stock and add to the vehicle inventory daily. At AutoMAXX we proudly sell and service used Ford Focus to customers from Windsor, Chatham, Essex, Tecumseh, Tilbury, Leamington, Lakeshore, Merlin, Kingsville and LaSalle. The Ford Focus is still small, economical, and fun but now it includes the latest technology and style; setting a new standard in the compact car category. 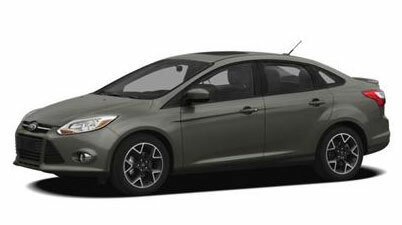 Completely redesigned for 2012 the Focus is now available as a four-door sedan and a five-door hatchback. Available as a four-door sedan or five-door hatchback the front-wheel drive Focus is all-new for 2012. Ford offers four trims on the Focus, the S is available on the sedan, the SE, SEL, and Titanium are available on both models. The new high efficiency engine is a 160-hp 2.0-liter inline four-cylinder with twin independent variable camshaft timing (Ti-VCT), direct gasoline injection and E85 capability. It is paired with either a five-speed manual or new six-speed auto-shift manual transmission. The SEL and Titanium trims are only available with the six-speed auto-shift transmission. Six airbags, rear seats with three headrests, anti-lock brakes, electronic stability control, remote keyless entry and power door locks are standard on all series. Available features include Ford's MyKey, SYNC, MyFord Touch, Sirius Satellite Radio, a Sony Premium Audio system, and heated front seats and exterior mirrors. The Ford Focus is all-new for 2012. Source: Chrome Data. The steering is light and linear and never feels artificial. -- Car and Driver....the cabin of the 2011 Ford Focus has a high-tech feel about it, thanks to a soothing cool blue glow from the gauges and optional customizable ambient lighting. -- Edmunds.com....Sync makes using your electronic toys easy and safe. -- Motor Trend. Source: Chrome Data.